Looking for a townhome in the heart of North Plano? Take a look at The Enclaves at Willow Crest. Located just east of 121 and the Tollway, this community of upscale townhomes has easy access to major roads, shopping, restaurants, entertainment, and sporting events. 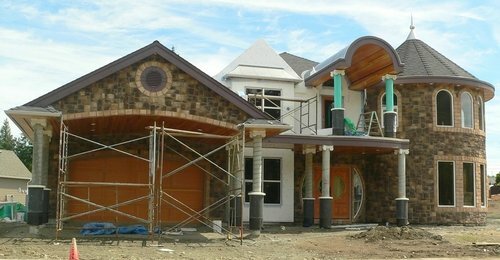 CB JENI Homes, the exclusive builder, has several buildings under construction. Floor plans range from 1,633 to 2,300-plus square feet of living space. Build pricing ranges from the $180s to the $230s and completed homes with extensive upgrades range from the low to mid-$200s. Wendi Leigh with CB JENI Homes is a pleasure to work with and really goes that extra mile to satisfy her clients. Read more about The Enclaves at Willow Crest. View Townhomes For Sale in The Enclaves at Willow Crest. Can I Buy a House after a Short Sale or Foreclosure? This is a common question among distressed homeowners we work with. It’s an easy question to ask, but the answer is complicated and constantly changing. • 3 year wait if the borrower can show extenuating circumstances. Additional underwriting requirements apply for 4 years after a 3 year waiting period. This list does not cover all circumstances so always talk with an experienced mortgage professional about your specific situation. Sightings of coyotes and bobcats are quite common in Ridgeview Ranch. A sighting of a healthy coyote/bobcat does not constitute a threat to people and as long as their behavior is apparently normal, there is no reason for an Animal Services Officer to respond. Contrary to what many believe, these animals do not live only in rural environments. 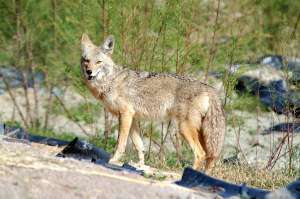 Many have adapted to survive in urban settings and there are coyotes in nearly every major city across the United States. In fact, there is a coyote pack that has been extensively studied for years that live in downtown Chicago. These small predators may appear to be a threat but in reality they pose very little danger to people. In recorded history, there has never been a reported attack on a person by a bobcat or coyote in Plano. Throughout the entire state of Texas, there has never been an instance of a coyote or bobcat killing a person. By comparison, domesticated dogs and cats injure more than 600 people each year in Plano alone, and dogs are responsible for an average of over one death per year in Texas. • Do keep small dogs and cats inside at night. • Do keep the covers secured on your trash receptacles. • Do keep your dog and cat on a leash (as required by city ordinance). • Do report the coyote/bobcat sighting to the DFW Wildlife Coalition (972-234-9453). • Do try to consider that they were here first. • Do not feed your pets on the back porch. • Do not walk your small dog in wooded areas. • Do not approach, chase, make noises at, chunk rocks or otherwise taunt a wandering coyote. • Do not approach a coyote if it appears trapped, injured, or sick. Contact Animal Services immediately at (972) 769-4360. • Do not ever try to touch a coyote. Homeowners actually benefit from the presence of coyotes and bobcats because their predation keeps the populations of rabbit, rats, and mice under control and prevents infestations that occur in homes and businesses when vermin reproduce unchecked. 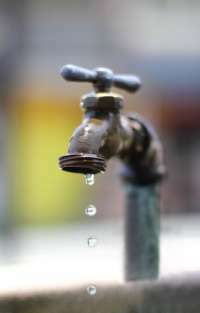 Vote For Proposition 2 to Make Sure Texas Has Enough Affordable, Clean Water for Our Future. The population of Texas is projected to double over the coming decades, yet our water systems are deteriorating and can’t keep up. If we don’t do anything, experts agree we won’t have enough water to meet our needs. Proposition 2 will save taxpayer dollars on water projects in the greater Dallas Fort Worth Metroplex and allow our water supplies to keep pace with demand. Don’t Let Texas Run Out of Water. Vote FOR Proposition 2 on November 8th. “Can I apply for a Texas Homestead exemption?” This was the question asked of me by a recent past client after she received her 2011 property tax bill. She had purchased the home in May of 2011 so she was not eligible for the exception in 2011. The law requires that you own and occupy the home on January 1 of the tax year. Many people think the primary benefit of the homestead exemption is a reduction in property taxes. While the savings is nice, the most important thing is that homestead laws prevent any creditor (except for the mortgage holder, a taxing authority, or the holder of a note created for a home improvement loan) from forcing the sale of the homestead to satisfy nonpayment of a debt. On September 1, 2011 the state law was updated and applicants for a homestead exemption are required to provide a copy of their Texas Drivers License and a copy of a vehicle registration with the application. Note that the addresses on the two documents must match the property address on the application. Applications for the 2012 exemption have to be received by the approriate appraisal district no earlier than January 1, 2012 and no later than April 30, 2012. Opportunity knocks! One of a kind residential lot located in the heart of Turtle Creek Park. 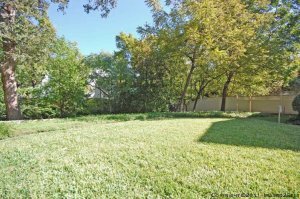 This lot offers the rare chance to build your dream home among the majestic trees on this heavily-wooded creek lot in the shadow of downtown Dallas. Located less than 3 miles to UTSW and Parkland Hospital. This lot is being subdivided from a larger estate and is subject to final city approval. Plat, recent appraisal, and drainage studies are available. See all Lots for Sale in the Oaklawn Area of Dallas, TX. Do I Really Need a Real Estate Agent for a New Home Purchase? We get this question all the time from potential new home buyers. Do you really need one? No. Would retaining an agent to represent you in the transaction be a good idea? Yes, it would. Some people believe they can get a better “deal” on a new home by working directly with the new home sales staff. Most of the builders we know will not lower the price of the home simply because you don’t have an agent. Agent commissions are usually paid from a different fund that is not related to the sale of the home. Further, real estate professionals often know about unadvertised discounts and close-out pricing on new homes. More importantly, there are many pitfalls in the buying process that are not related to pricing! Real Estate Professionals have the experience and knowledge to negotiate and guide you through the new home buying process. 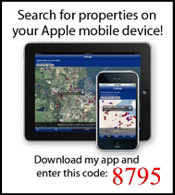 Looking for a great deal on a new home?